Breast cancer is very rare in young women below the age of 40 years. The estimated incidence is less than 0.2 per 100,000 women below the age of 20 years, increasing to 1.4 in women 20–24 years, 7.7 in women 25–29 years, and 25.5 in women 30–34 years old. Breast cancer in young women presents biological peculiarities compared with tumors in older women: a higher histological grade, no expression of estrogen receptors, and an aggressive growth pattern. The prognosis and survival of young women with breast cancer remains a controversial issue, with several studies showing discordant results. A worse prognosis was shown by some reports, whereas other studies have reported that age is not influencing disease-free or overall survival after adjustment for other prognostic factor. Special care is needed when facing breast cancer in young women. In particular, issues like fertility preservation and contraception, pregnancy after cancer or cancer during pregnancy, sexuality and body image, as well as familial, genetic, and career items are peculiar for young breast cancer patients. Younger women show greater psychological morbidity than older patients. This may be due to the fact that they face a severe disease and a burdensome treatment before they had the time and chance to achieve personal targets and purposes. A special challenging clinical situation is represented by breast cancer occurring during pregnancy because of the complex medical, ethical, and psychological problems arising in this situation. Ries L, Melbert D, Krapcho M, Stinchcomb D, Howlader N, Horner M, et al. SEER Cancer Statistics Review, 1975–2005, National Cancer Institute. Bethesda, MD. http://seercancergov/csr/1975_2005/, based on Nov 2007 SEER data submission, posted to the SEER web site. 2008.
WHO. WHO World health organization.Mortality database. http://www-depdbiarcfr/who. Accessed 20 Nov 2007. NBCC. NBCC, National Breast Cancer Coalition. Facts about breast cancer in the United States: Year 2007. http://wwwstopbreastcancerorg/bin/indexasp?Strid=427&depid=9&nid=2. Accessed 24 Nov 2007. Howlader N, Noone AM, Krapcho M, Garshell J, Miller D, Altekruse SF, Kosary CL, Yu M, Ruhl J, Tatalovich Z, Mariotto A, Lewis DR, Chen HS, Feuer EJ, Cronin KA (eds). SEER cancer statistics review, 1975–2012, National Cancer Institute. Bethesda, MD, http://seer.cancer.gov/csr/1975_2012/, based on Nov 2014 SEER data submission, posted to the SEER web site, Apr 2015. Available from: http://seer.cancer.gov/csr/1975_2012/. Puma Biotechnology I. 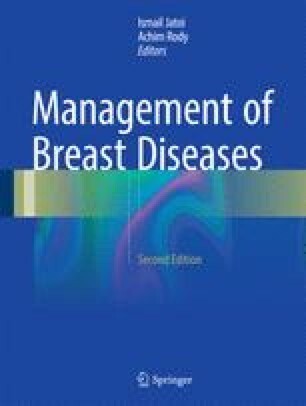 Study in Women with Early Stage Breast Cancer (ExteNET). Available from: http://clinicaltrialsgov/show/NCT00878709. 2015.